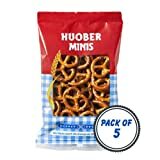 Warmed up, they are sweet and salty from the pretzels, soft and chewy in the center and just what you need to send all your resolutions out the window. You’re welcome! I’d actually made these cookies earlier, but I tried stuffing the Nutella in the center which isn’t just messy, it was quite pointless because it didn’t melt the way I was hoping it would. So, just a few spoons swirled into the dough is easier, and tastier. It isn’t the dominant flavour, but gives the dough just a little more awesomeness. Feel free to add more and mix it right in, it’s Nutella and you can’t go wrong! The cookies bake up thick, puffy and so, so buttery. And if you’re looking for an eggless version, my favourite is here! Get a pot of coffee and your oven going, we’re making cookies! Thick, chewy cookies, crusty on the outside, swirled with Nutella and filled with crunchy pretzels! In a large bowl, sift the flour, cornflour, baking soda and salt, if using. Set aside. In a stand mixer, or using a hand mixer, beat the butter and sugars until pale and fluffy. Add the egg and vanilla and beat till combined. Fold in the flour mixture until combined, then mix in the pretzel pieces.The dough will be thick and sticky. Cover the bowl with clingfilm and chill for at least 2 hours, up to 2 days. The longer it's chilled, the thicker the cookies will be and the longer you will have to bake them for, so adjust chilling times accordingly. When ready to bake, let the dough sit out at room temperature for 10 mins, longer if you chilled it beyond 2 hours. Preheat the oven to 175 C and grease a baking tray or line it with a silicone sheet. Roll the dough into equal sized rounds, and press more pretzel bits into the top of each if you like. Place on the tray at least two inches apart. You may have to bake in batches. Bake for 10 to 15 minutes, for soft or crunchy cookies. Let them sit on the tray for a few minutes, then transfer to a wire rack to cool. The crunchy versions are delicious warmed up for a few seconds 🙂 Happy eating! *Break the pretzels with your fingers, making sure the pieces are small so that the cookies don't break. Tgis post contains affiliate links.